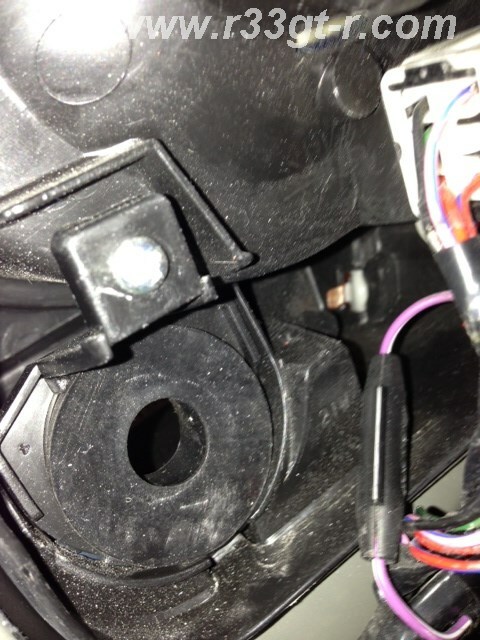 So awhile ago I replaced my Series 3’s single back-up standard bulb with an LED bulb (S25 or 1157 size), and while this DID result in a slightly brighter light (or so I thought), given the blacked out rear windows and reliance on my back up camera, parking in a dark space, or at night, could still not be done with confidence. Then I heard about HID bulbs being used for back up lamps. 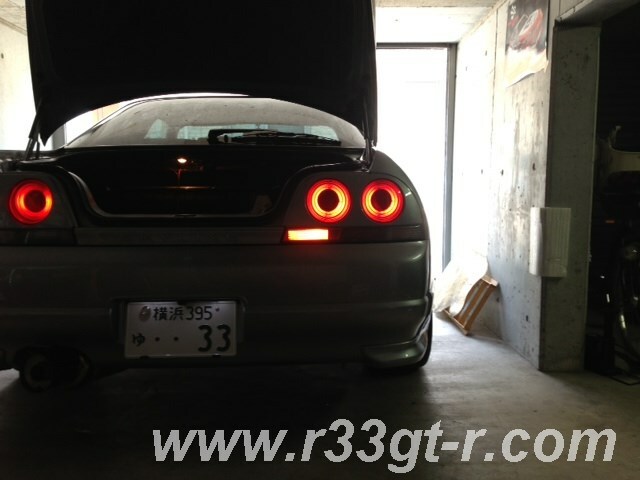 A quick Google search shows that in fact many people have installed HIDs for their car's back up lamps. So perhaps not a big deal, definitely not a “world’s first,” but a nice mod for me nonetheless. And hopefully, it would make backing up at night in my car a bit less nerve wracking. 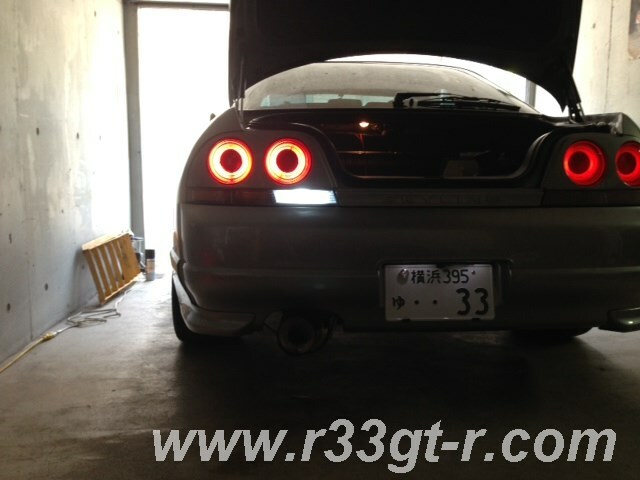 Since my car only has one back up lamp (the other is a rear fog lamp), I installed only one of these of the pair. 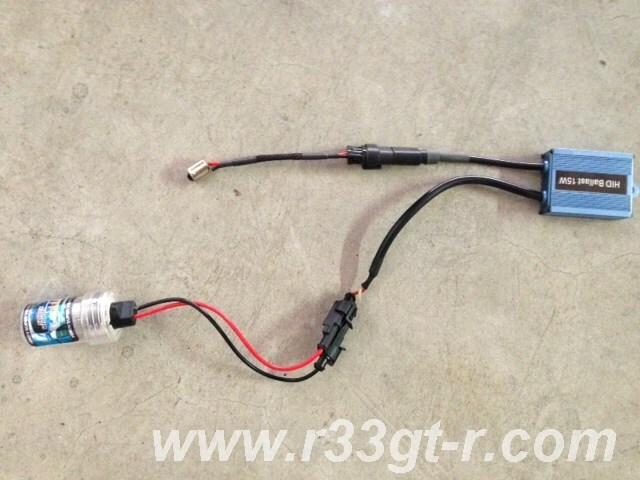 This of course was as easy as pulling out the current LED bulb, and installing the HID. The instructions that came with the kit were extremely poor (they were for HID headlights!?) but it was extremely easy to do the install. Took me about 10 minutes in total – no soldering and no splicing – all I had to do was to plug in the harness with the S25 adapter, as well as the lead with the bulb, into the ballast. While I initially thought I could install the ballast right underneath this cluster of bulbs, I eventually mounted it behind the trunk lining in the rear corner area, onto one of the two bolts that affixes the tail lamp assembly to the body. 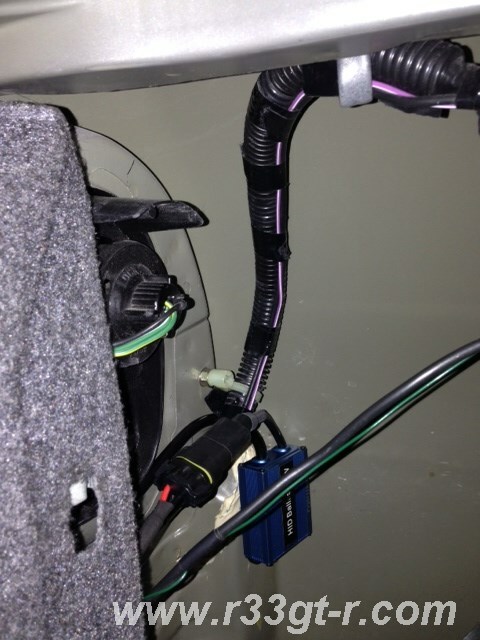 Once the ballast was mounted, then it was a simple matter of plugging the hole where the standard bulb would go, with the provided rubber grommet, into which the HID bulb would go in, for an airtight fit! And the result? Well, I decided to stick in all three bulbs to provide a comparison. So you can see that, with the HID, even in daylight it appears (only) slightly brighter than the LED. But just a second! I figured, heck if I have the LED bulb out, why not put it into the rear fog lamp, to see how bright it would get – but I was in for a big surprise! The same superbright LED bulb! WAIT!! The regular bulb is actually BRIGHTER!! So while under a clear lens, the LED appears brighter – I think maybe it’s only more blue, NOT brighter lumens-wise. So maybe this was my problem in finding it dark when backing up – the LED may be easier for other drivers to see, but is not actually brighter (Lumens) than the regular halogen bulb! 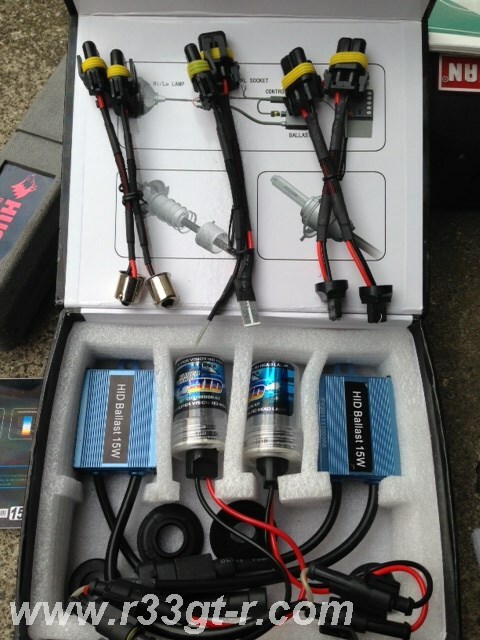 In any case, I think the HID solves the problem, if not I will be back to trying something else. Another matter of concern is - given the nature of back up lamp use – that is, on for only a short time, and in some situations, on/off on/off in sequence as I jockey (forwards and backwards) to park the car in some very tight locations – will that result in premature burn out? 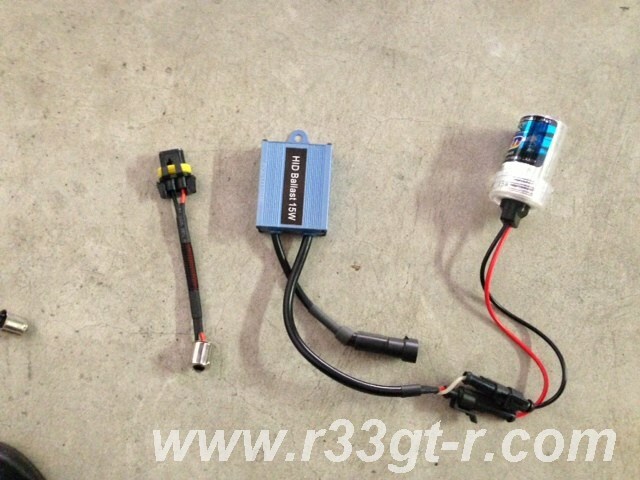 Interestingly, my other concern that the HID would get too hot did not seem to be an issue at all. I left the bulb on for about 15 minutes to see if would get hot, and while the plastic lens did get slightly warmer to the touch, it wasn’t enough to cause concern. Finally – I know what some of you are thinking. 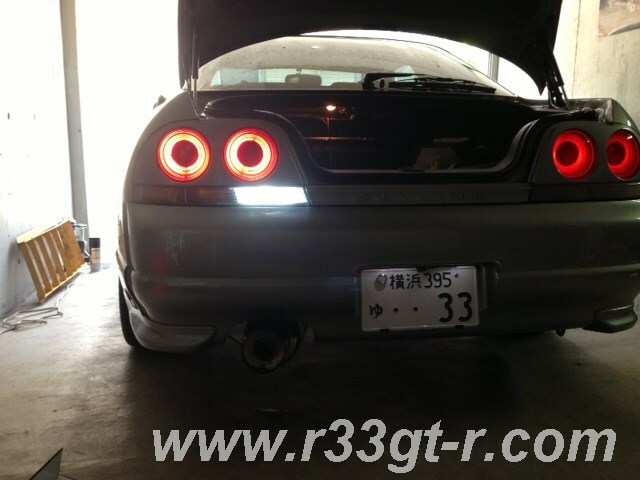 If I have a spare burner and HID bulb unit, why not use it in place of the rear fog lamp bulb? Well, in addition to premature burn out of the back up bulb, I am still a bit concerned about the heat – with a fog lamp, it would be left on a lot longer than the reverse lamp. The other concern, of course, is given how bright this lamp is – would I call extra unwanted (i.e. police) attention were I to install this? So something to think about (and a potential future blog post, of course). Meanwhile – I will have to put this new HID back up bulb through its paces, and hopefully it is bright enough that I can see better on the back up camera! I will report back when I get the chance, in the comment section. 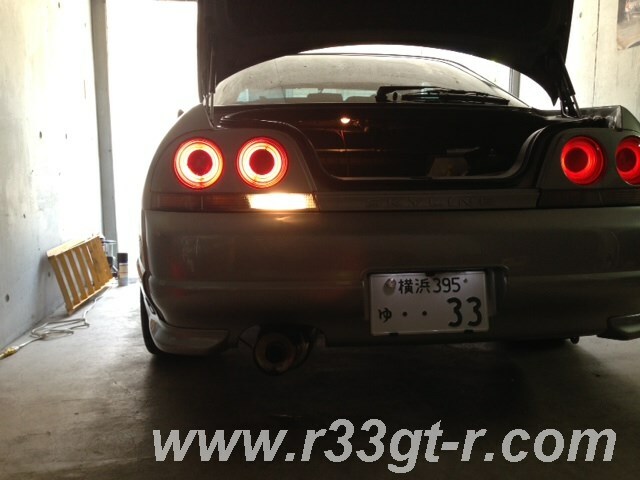 PS: I got tired of having to look up, from various sources, the various lightbulbs for the R33 GT-R, so I’ve added the entire list to the Technical Specs section of this blog. I hope it serves as a useful reference. One thing to note is that bulbs go by different model numbers in different countries – so please use the cross reference link provided if you seem to not be able to find a listed bulb in your country. And thanks for the different bulbs references. As i'm looking to convert one of my backup lamp to rear fog lamp, i think that will be very useful. Oh the irony, I have been wiring HID bulbs today, seriously! What I do know is that they suggest that after turning off you wait five seconds for them to be ready to turn back on. The other thing is that they generate less heat than a standard headlight bulb. It's a good idea to stick one in the reverse light and I may give it some thought (as I have two!) although probably a super bright LED would do the trick for me. The job I did today was to fit front HID's as my dipped beam is worse than useless (even with crystal clear lenses! On the other hand, if they DO generate less heat than a standard bulb, then no reason not to use as a rear fog, huh? 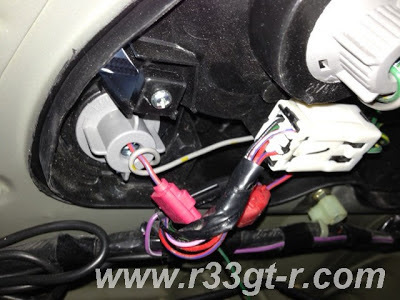 I have a r33 gtr v-spec series 3, but on my centre console the switch is there for the rear foglight but there is no connector anywhere for it, How can this be? Could somebody have tried to retrofit it or maybe it was never there from Factory? 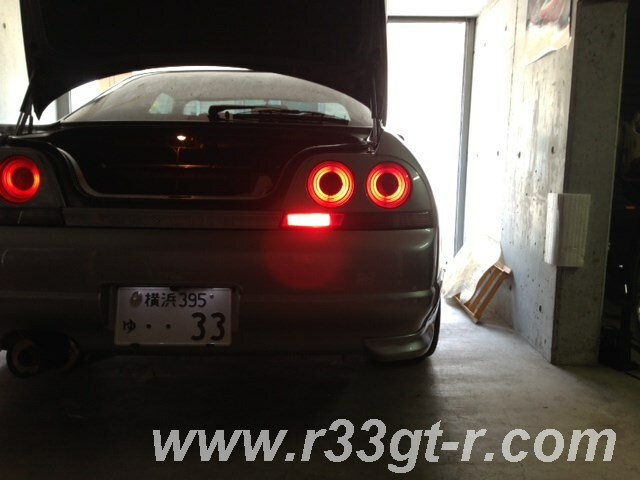 I'm sure it must be as I believe all R33 GTR V-Spec had it? Where does the harness come from for that plug, as i want to trace it. Unnecessary Titanium Tower Bar Mod?